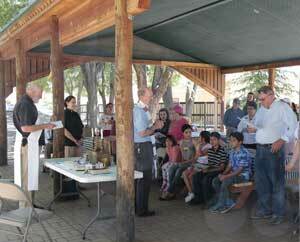 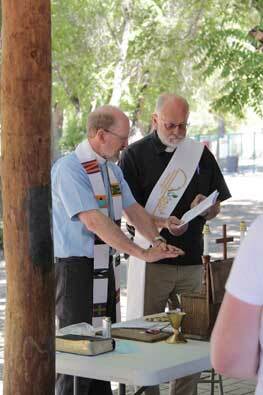 On this spring Sunday, we met for worship and food at Penny Park, in Silver City. 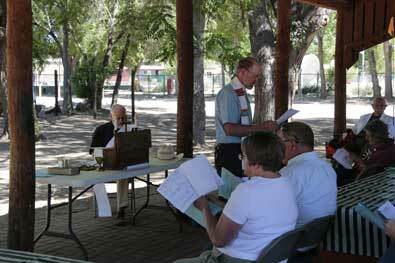 Thanks to Glenn Tolhurst for his photos. 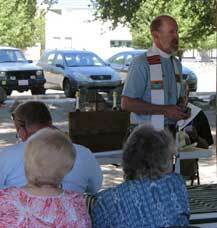 Here is the sermon Father Paul preached that morning. 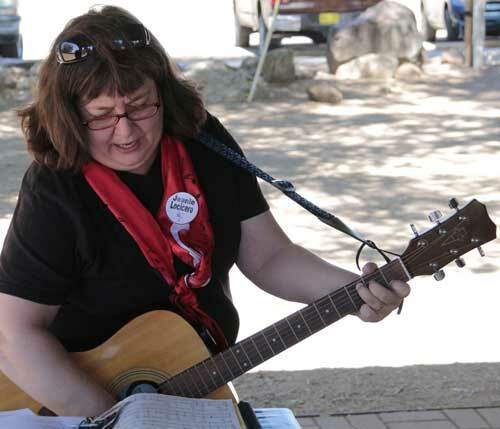 Jeanie Locicero led us in singing. 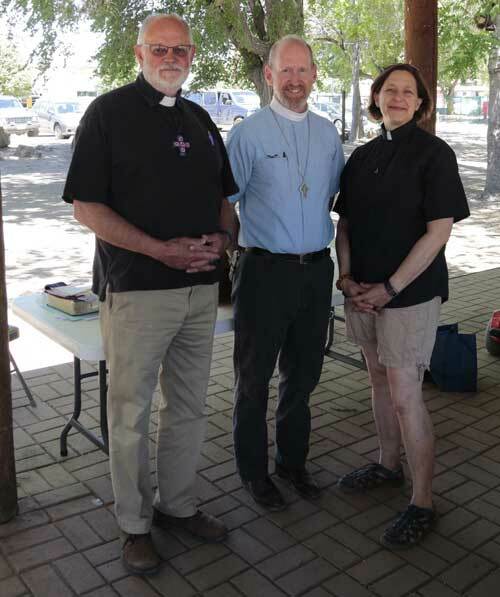 Deacon Tom Bates, Father Paul Moore, and Pastor Sarah Guck at our Praise in the Park event. 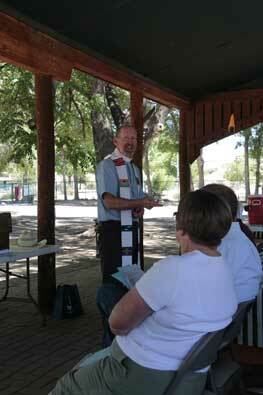 This sermon took place at our Praise in the Park event.